In honor of my late father, Frank. Value & waste, standardized work, visual management, flow & pull -- Mama & Dad practiced them all. They didn't call it Lean, of course. It was just common sense. Value at the Imperial Grill meant good food at fair prices, a welcoming atmosphere, and a deep sense of community. People liked the food, and they liked hanging out there. At the Imperial Grill, I experienced each form of waste viscerally. Motion waste, for example, meant sore feet. 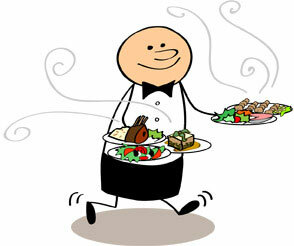 The best waiters and waitresses effortlessly served multiple tables with minimal motion. They added value whenever they moved -- by greeting a customer, clearing a table, or closing out a tab. Waiting waste meant unhappy customers who wouldn’t come back Conveyance waste meant unnecessary trips to the farmers market to get our meat and produce. Correction or scrap waste meant making the wrong thing, or overcooking something, and having to throw it out. Over-processing meant too many steps in a process, so you fall behind -- a killer during the breakfast and lunch rush. Inventory waste meant carrying more raw materials than you need, which meant either throwing stuff out when it goes bad, or buying a bigger fridge. Knowledge waste meant wasting your time doing the above when you could be improving the business. Overproduction -- making more than we could sell -- was unthinkable, a sure way of going out of business. My parents understand value and waste in their guts, had a deep connection with their customers, and were open to any suggestions for improvement. As a result, the Imperial Grill thrived against tough competition from national restaurant chains.